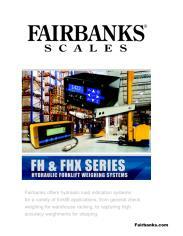 The FH Series is a top quality basic weighing system for hydraulic forklifts. The system is attractively priced and most often used to check weigh goods for overload as the goods are moved onto transport trucks or warehouse racking. The FH Series is easy to install, suitable for rough applications and is compatible with hydraulic forklifts with capacities up to 20,000 lbs. 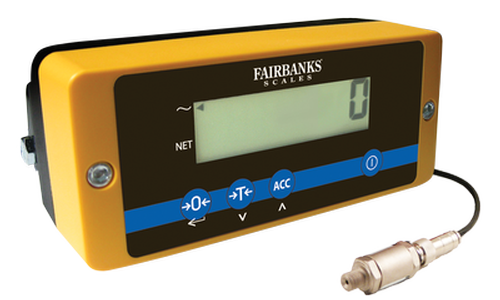 The FH Series weighing sensor is connected inline with the forklift's hydraulic system. 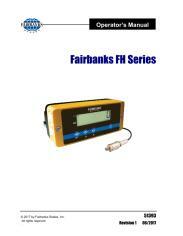 The sensor detects changes in the hydraulic pressure and transmits this data to the FH Series instrument, which then translates this data as a displayed weight.